World Environment Day (WED) will take place on June 6, 2015. The United Nations started WED as a global platform for raising awareness around pressing environmental issues and motivating collective efforts for positive change. Activities will take place around the world including in Milan, where global leaders will host a conference to focus on the links between water and sustainable development. Learn sustainable gardening techniques and more from a variety of experts around the Garden on June 6. Recyclables: Don’t forget to bring your electronics, plastic pots, vases, and baskets with liners, which can be donated for recycling from 10 a.m. to 4 p.m. in parking lot 4. Learn more zero-waste life hacks here. 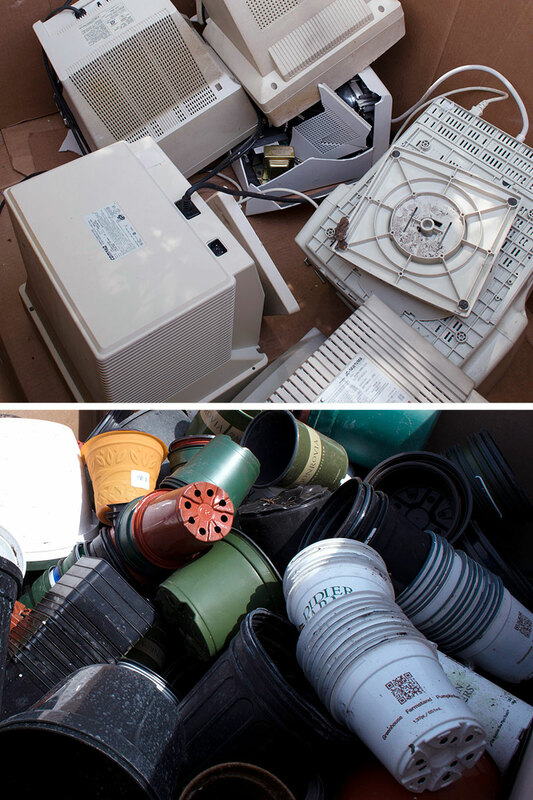 Click here for a list of acceptable electronics items for recycling. Reusable Bags: Windy City Harvest will be hosting a farmers’ market featuring local and organic produce on the Esplanade. Bring a taste of Chicago back home with you! Notebook: Danielle Nierenberg, president of Food Tank, will discuss the role of urban agriculture in the food system as the keynote presentation. Nierenberg will host a panel of Chicago’s leaders in sustainability to engage others in the discussion. Take advantage of their expertise, ask your burning questions, and jot down notes for later! Appetite: Watch a demonstration by Chef Cleetus Friedman of Fountainhead, The Bar on Buena, and The Northman at 1:30 and 2:30 p.m. in the Regenstein Fruit & Vegetable Garden’s open-air amphitheater. Bright Clothing: Beneficial insects are pollinating the Regenstein Fruit & Vegetable Garden! Be sure to wear colorful summer clothing so you can make friends with hummingbirds, butterflies, and ladybugs. Several plant scientists will be giving demonstrations and presentations at the Daniel F. and Ada L. Rice Plant Conservation Science Center, through which you can explore the science behind nocturnal pollination and prairie management. Beekeeper Ann Stevens will provide lessons on apiculture. 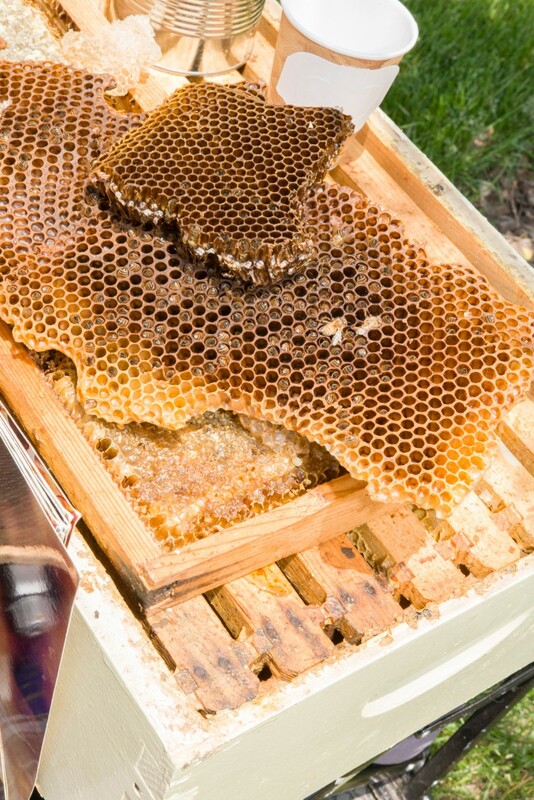 Learn about apiculture with beekeeper Ann Stevens. Don’t miss family-friendly performances by the Dreamtree Shakers (11:30 a.m.) and Layla Frankel (1:30 and 2:30 p.m.) on the Make It Better stage. Younger visitors will enjoy learning about plant parts, pollination, and making stick sculptures. You can share your pledge for World Environment Day with people around the world and come together for #7BillionDreams on June 6, 2015. Join the Dream Team and inspire others to do the same! Join the #WorldEnvironmentDay conversation online! Follow the Chicago Botanic Garden on Twitter and Facebook using #CBGWED2015 or #WED2015. Continuous shuttle service is provided throughout the day from the Visitor Center to the Daniel F. and Ada L. Rice Plant Conservation Science Center. Sign up for membership at the Chicago Botanic Garden or donate to their mission.